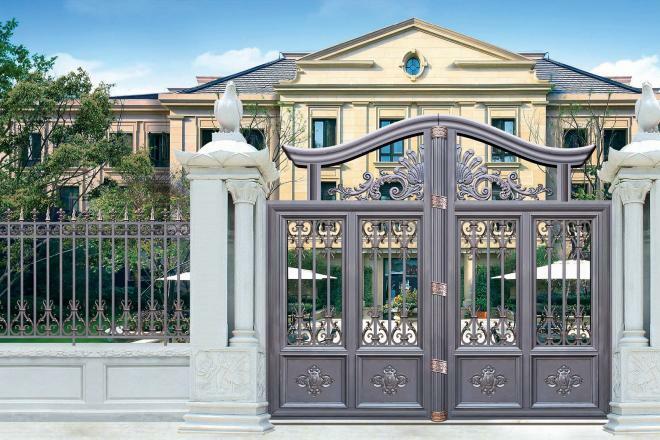 An automated gate is an excellent addition to any property. It is obviously far more convenient and impressive than a manual gate, and it is also more secure. On top of that, the ‘impressive’ element of an automated gate means that it will add value to your home, so you’ll see a return on your investment when it comes time to sell your home. Like any other part of your home, your automatic or motorised gate requires maintenance if it is going to enjoy a long and functional life. In fact, because it is automated and features a motor, it requires extra support if you are going to protect your investment. Before you read through these tips, you need to understand that the motor on every gate will be different. To ensure you don’t do any damage to your gate while maintaining it, you need to consult the manual, which should be your bible through the maintenance process. The individual parts of the gate, including the metal racks, gate opener, drive belt, electrical connections and bearings and rollers. Any bolts and making sure they are screwed in tightly. If you notice any loose bolts, call a technician, because touching them could cause them to break. Signs of damage to important areas like bearings, bushings and pivot points. You also need to check for any areas of wooden gates that need staining or oiling. Unstained wood has a far higher chance of being damaged. Just make sure you only use the paint and stain recommended in the manual. Rust is a danger to any form of mechanised component. You need to be vigilant and keep an eye out for even the smallest sign of rust, which can form in the early stages of your gate’s life. If you find the rust early enough, just scrub it off with some hot and soapy water. If that doesn’t work, grab a sheet of sandpaper. The cleaner you keep your gate, the fewer problems you will have. Cleaning means more than just removing dust and dirt; it means waxing metal components and oiling any wooden parts. While cleaning, you need to be careful not to get water in the motor, as this will damage it and potentially prevent it from functioning. All motors need lubrication, and the little engine on your gate is no different. You should oil your motor and all moving parts every six months or so, making sure you follow manufacturer guidelines when choosing the lubricant. You need to perform this task at least once a month, as it is an important safety mechanism. The best way to do this is to place a bit of timber in the middle of the driveway and press the close button. If it is working, the gate will pick up the object and automatically reverse. If the function doesn’t work, you need to get in touch with a technician right away. Just imagine the damage the gate could cause your possessions or a loved one if it doesn’t pick up on the obstruction. Make sure the driveway is always free of debris. Continually running over pebbles or twigs can cause damage over time and make your gate work harder than it has to. Always check the battery for any signs of corrosion. Batteries are expensive to replace, so maintenance is always best. Never turn the gate on or off while it is operating, as this will deplete the power of the battery over time. Open up the battery housing and looks for any signs of dust or insects and remove any debris with a soft cloth. You can also use this opportunity check that the belt is working, the gears are in line, and all the connections are in excellent condition. Follow these tips, and your automatic gate will be a feature of your home for decades. Remember, you can call our friendly team whenever you like for information on maintaining or repairing your gate.